Looking for a card that lasts longer than the average? Give this unique bone china one instead! Our Design adorns the front of this mini message card, and your sentiment is expertly printed onto the inside, making this a lasting keepsake that will long outlive the day itself. 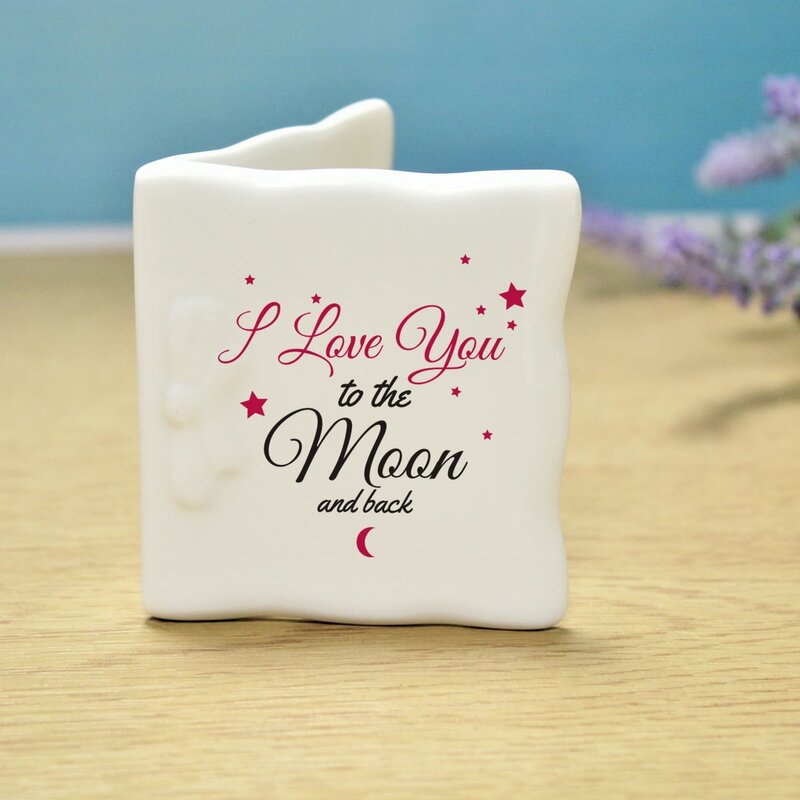 Their name is included within the design on the front of this loving candle, showing them you love them to the moon and back. 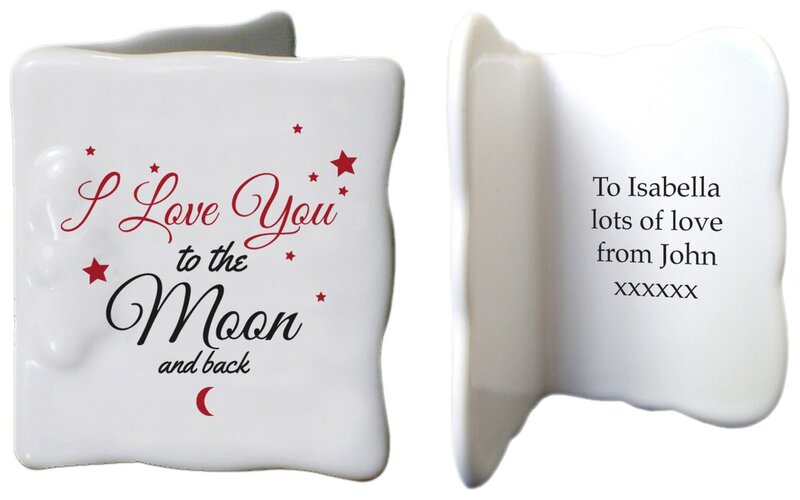 Their name is included within the design on the front of this loving plate, showing them you love them to the moon and back. Their name is included within the design on the front of this loving cushion cover, showing them you love them to the moon and back. Simple and classic, this stylish silver plated frame makes a sleek addition to any room of the house. Personalise with a name up to 15 characters and their age.